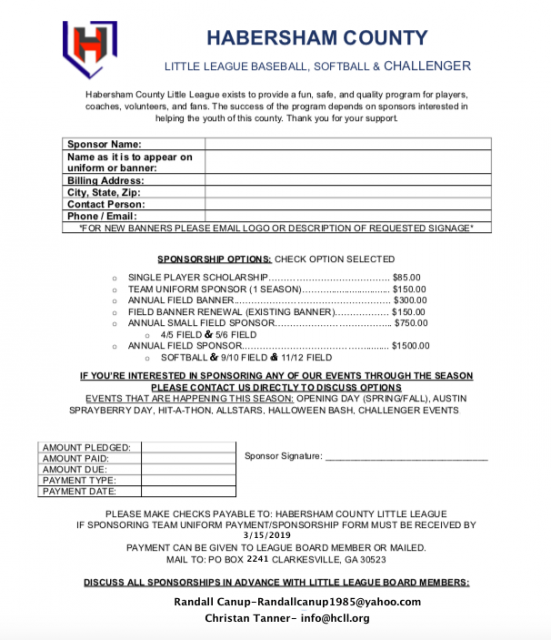 Updated Wednesday February 6, 2019 by Habersham Little League. Don't miss out on great exposure for your business and the amazing feeling of giving back! Become a sponsor TODAY!